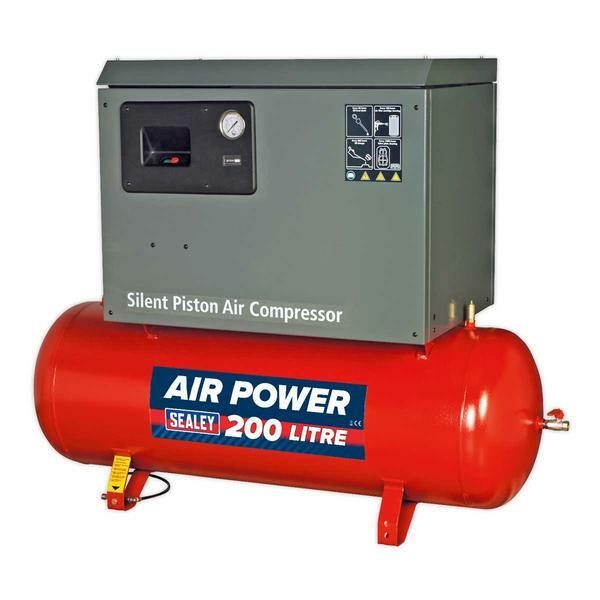 Heavy-duty low noise compressor suitable for garage, bodyshop and industrial applications. Fitted with cast iron cylinder head enabling slower revving and improved pump life. Fully enclosed, insulated design gives quiet running at just 68dB(A) (at 1mtr) and protects vital components from damage. 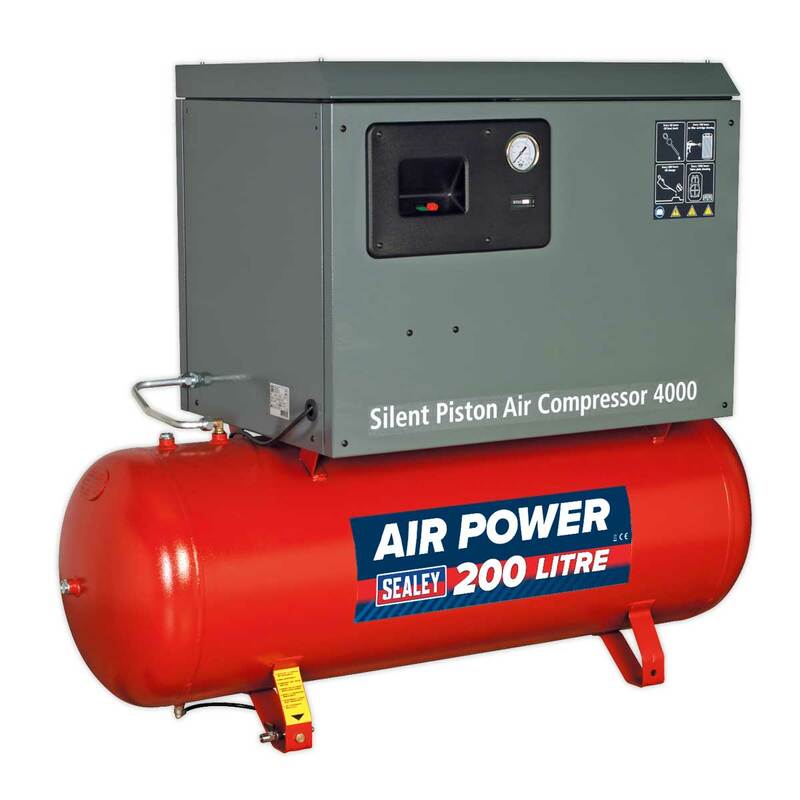 Features fully automatic pressure cut out switch and tank pressure gauge. Heavy-duty single phase electric motor with soft start feature. Control box features tachometer for monitoring use and optimizing service times. Supplied with full CE certification, test certificate, operating/maintenance manual.